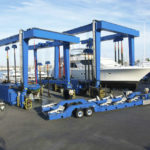 Hydraulic boat lift, also known as boat hoist or travel lift, is specifically designed to lift vessels in and out of the water, move and transfer to your desired locations, and arrange them in a row to save limited yard space. The hydraulic boat hoist is easy to operate, and it can travel throughout the shipyards or marinas with ease. Our boat lifts can handle almost all sorts of ships, ranging from fishing boats, sailboats, large yachts to super yachts and heavy tugs. At Ellsen, you can find the most cost-effective and powerful solution for your business. 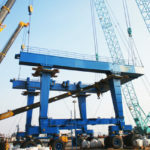 In the construction of hydraulic hoist lift, we utilize the best materials and components to ensure the quality of it. 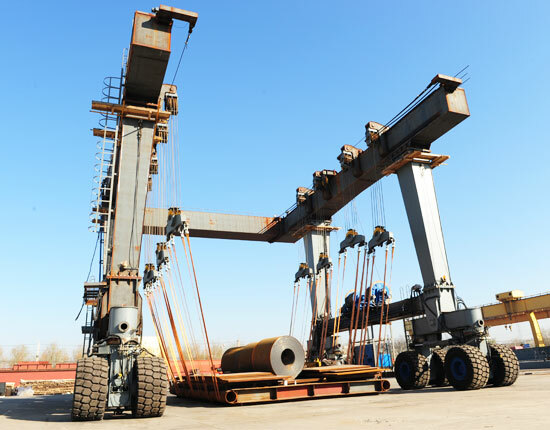 Additionally, with our excellent experts and state of art processing facilities, we are able to produce the crane that works towards for your goals. The hydraulic boat lifts come in a number of different types and sizes to serve your applications. 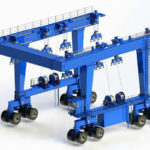 Generally, they can be classified into small boat lift, medium boat hoist and large boat lift according to the size of boat, remote controlled travel lift and cabin controlled boat hoist according to the control mode, 50 ton boat lift, 100 ton travel lift, 200 ton travel lift, 500 ton travel lift, 1000 ton travel lift and so on according to the rated load capacity. Basically, our hydraulic boat travel lift can handle 10t to over 1000 tons weight. 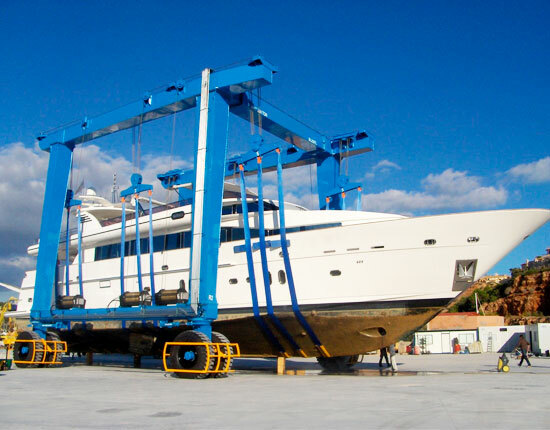 Designed for the utmost efficiency and safety of boat handling, the mobile boat lift is a preferred option for most boat builders, shipyards and marinas. Our boat travel lift is engineered to ensure it works with ease and efficiency, and it will be designed according to customer’s requirements, such as boat configurations, wharf size, working environments and safety precautions. We offer a variety of design options to suit different applications. To deliver superior performance, particular emphasis is made on reducing structural stress that occurs when travelling on uneven ground surface. Our hydraulic boat lift is designed with excellent safety features that enable it to perform perfectly in harsh marine environments. 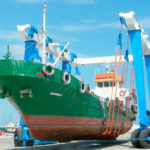 Interested in marine boat hoist? Contact us now to discuss your lifting requirements with our experts! 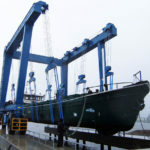 Incorporating the uses of several simple units and mechanisms, the mobile boat crane can lift and transport the ship effortlessly and quickly. It mainly consists of double gantry U frame structure, hoisting mechanism, steering system, hydraulic transmission system and control system. U-shape metal structure – articulated main and end beam are aimed for reducing structure stress that may be caused when travelling on uneven ground. Travel lift slings – each sling’s position can be adjusted to improve the load placement. The soft but sturdy slings will cause no damage to the vessel’s hull. Boat lift winch – separate lifting pumps deliver even lifting. Steering system – a variety of steering modes are available to suit different working conditions. Hydraulic transmission system – the machine utilizes a full hydraulic drive system. For small boat lift, we are capable of designing a full electric drive system. 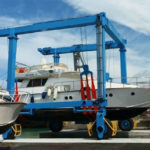 To prevent boat lift crane and its parts from corroding in harsh marine environments, we also take a series of designs and methods, such as utilizing stainless steel tubing and superior paint. How Does A Hydraulic Boat Lift Work? Do you know how to use a hydraulic boat lift? It requires a professional operator and sometimes with an coordinator to implement this work. 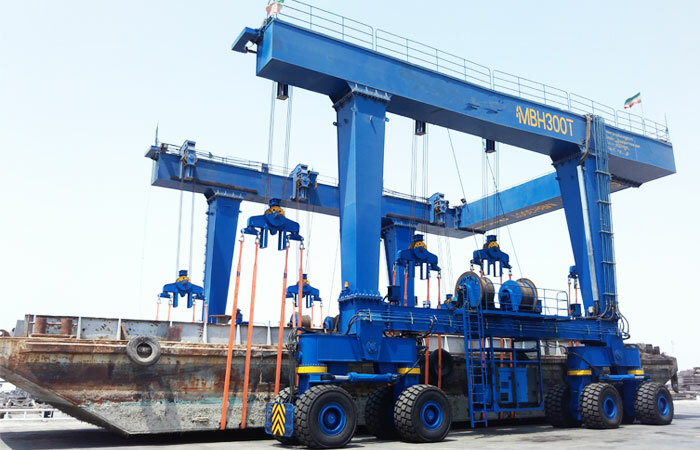 The hydraulic boat lift, as you might have guessed, utilizes hydraulic transmission system and hoisting mechanism to fulfill heavy lifting tasks. 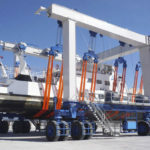 In the process of moving or hauling a boat, the travel lift slings are positioned underneath the boat and aligned vertically with lifting points. They will be secured with the safety pin. Raised slowly to a snug fit, the slings take a small portion of the load. The lifting points will be raised high enough to clear any obstacles along the travelling path. Once in position, the slings will be lowered to the point where the boat can come off. When the boat handling is done, the slings will be raised above the ground level and the boat lift should be parked aside for proper water drainage. Hydraulic vs. Electric Boat Lift, Which Is Better for Hauling Your Boat? Boat lift is an efficient and safe way to handle your vessels. According to the power source, it can be divided into hydraulic boat lift and electric boat hoist, both of which has its own advantages and disadvantages. The hydraulic system is the most common form found with your boat lift since it can travel freely within the working areas. The hydraulic cable boat lift can move very fast compared to most electric boat lift. 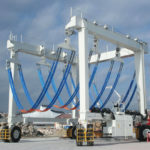 It is a more economical way to configure your mobile boat crane. For some small tonnage boat handling applications, we can design the electric boat travel lift. Interested in our boat lift? or want the best prices? How Much Does A Hydraulic Boat Lift Cost? Beam formed structure offers great rigidity and long working life. Our machines are adapted to any conditions and provider superior performance. It is built with excellent safety features. Various options for safety devices are available. 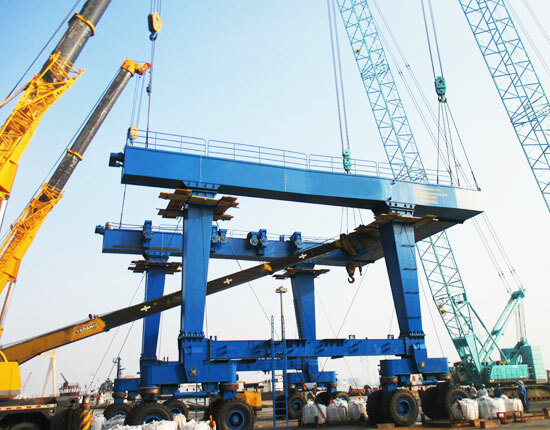 Our hydraulic boat lift crane requires minimum maintenance. As one of leading hydraulic boat lift manufacturers and suppliers in China, we can confidently offer high quality products and perfect services to our customers. Each of our product is made to order and can last for decades. If you would like to buy hydraulic boat lift, contact us online directly and discuss your requirements with us.